Russia to create register of intellectual property rights holders | Russian Legal Information Agency (RAPSI). 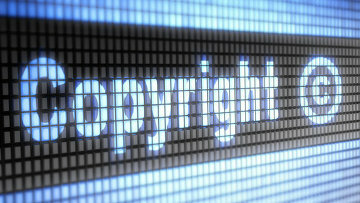 MOSCOW, March 20 (RAPSI) – A register containing information about intellectual property rights holders will be compiled in Russia, Deputy Minister of Communications and Media Alexei Volin said Friday at a meeting of the council on culture under the State Duma speaker. Volin said the register would be based on the principle of digital fingerprinting and would be used to track and protect copyrighted files online. He added that many rights holders are afraid to provide a digital fingerprint of their intellectual property for fear that it could be pirated. The anti-piracy law took effect on August 1, 2013. It sets out the legal grounds and procedure for limiting access to websites that distribute movies and TV shows in violation of copyright. The law also sets out the rules for holding Internet and hosting providers liable. The amended wording of the law will come into effect on May 1, 2015. It will allow closing access to websites with pirated content for repeated violations of copyright. 17:35 20/03/2015 A register containing information about intellectual property rights holders will be compiled in Russia.